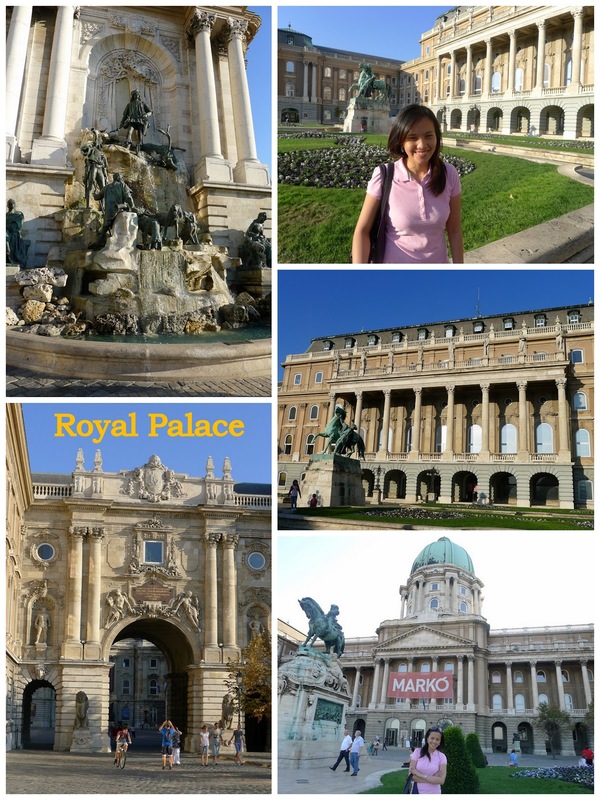 truth be told, Budapest or Hungary was not part of my dream must-go-to list. the beauty of it was that it was surprisingly a very wonderful and rich city - much surpassing my expectations. while everything else was cheap compared to other famous cities in Europe, the attractions were a delight! at the end of the day, after touring around, i can, in honesty say that it's probably one of the nice cities i have been blessed to see during this euro-trip. St. Stephen's Basilica - Budapest's biggest church which took 50 years to complete can hold up to 8500 people. by now, as I may have figured (and you too already), europe is famous for beautifully-crafted, intricately-adorned cathedrals, basilicas and churches. this one wasn't an exception. 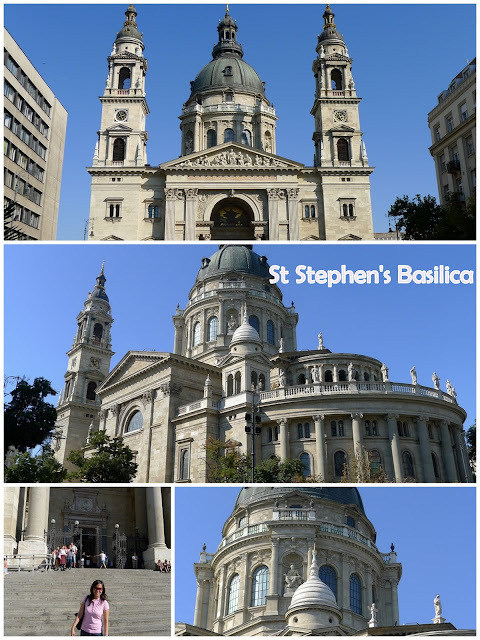 something special about this particular basilica though - we saw a group of Hungarian dancers (complete with the costumes) performing right outside the church. The Chain Bridge was the first bridge to permanently connect Buda and Pest (yes, seriously, once upon a time there was Buda and there was Pest). When it was completed, Chain Bridge was considered to be one of the wonders of the world. The Budapest Opera House was built in the 1880's and is considered to be one of the best in the world. 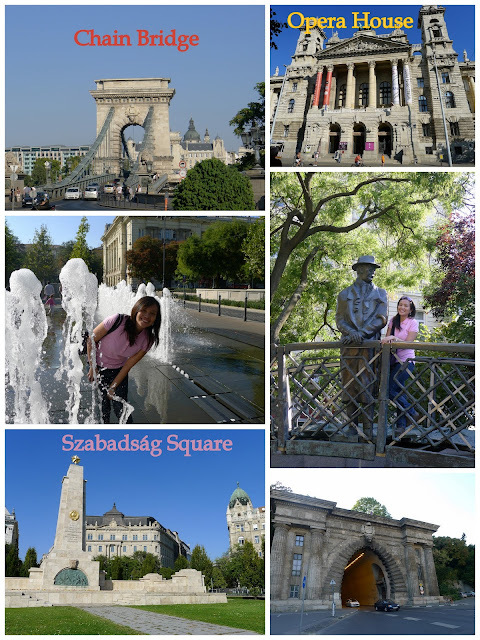 Szabadság Square has one of the loveliest parks in downtown Budapest. And off to the Parliament Building. 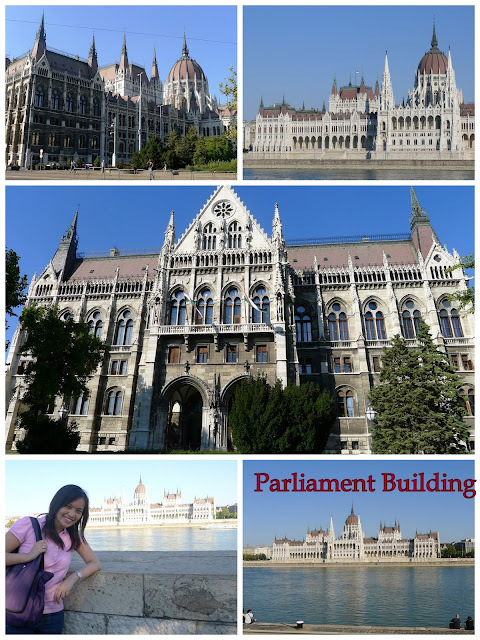 Budapest's is the third largest Parliament building in the world and is just over a hundred years old. Then it was another challenging climb in the cold to set foot in my favorite part of Budapest - the Castle Hill! 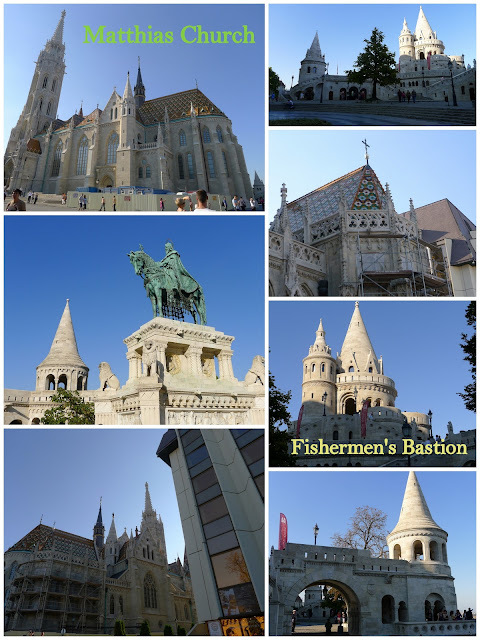 Here you can find Matthias Church, Fishermen's Bastion and the Royal Palace. Matthias Church, a 700-year old church was named not from a saint, but from the great Hungarian king Matthias who was said to be wed here - not once, but twice. Fishermen's Bastion was breath-taking and my favorite. it felt like being surrounded by true-to-life sandcastles. with the Matthias Church just beside it and the awesome view of the sea, it's a great lookout place and one of Budapest's top attractions. The Royal Palace was once a famous medieval palace built from the 13th to 16th century. the original palace was destroyed and on its place during the 18th century a small Baroque palace now stands. 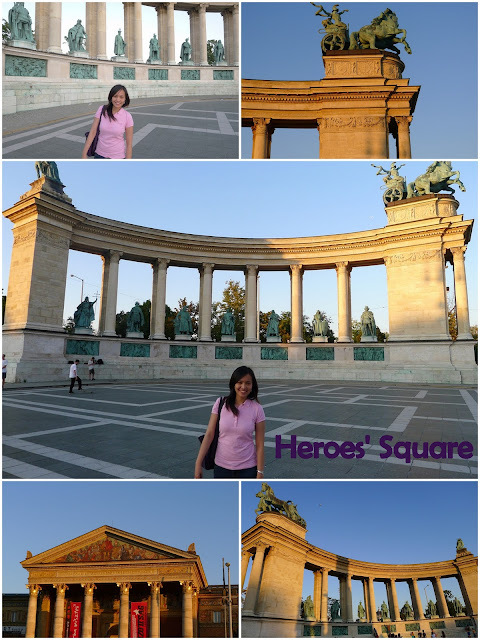 The Heroes' Square is the largest and most impressive square in the city. The Vajdahunyad Castle is housed in the City Park. a castle in a park, imagine that! not to mention a zoo and a number of other things too. 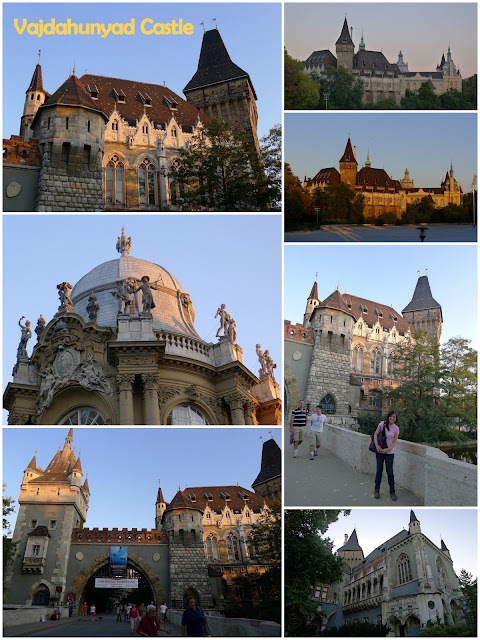 the casle is a replica of a Transylvanian castle of that name, was built to show the various architectural styles found in Hungary, and has Romanesque, Gothic, Renaissance and Baroque parts.